To book a stall please email claudia@ctte.org.za with details. 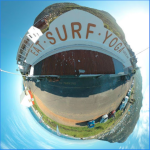 Come and join the new Talent market at EAT.SURF.YOGA in Glencairn on the 4th May 2019. Tables from T100. Bring books, clothes, homemade crafts or anything you have to sell. Therapies also welcome.